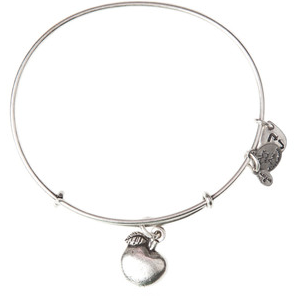 I bought myself a back to school present...the 'apple of abundance' bangle which represents 'insight, wisdom, and teacher'! It was also the perfect accessory for this gorgeous day spent apple picking! 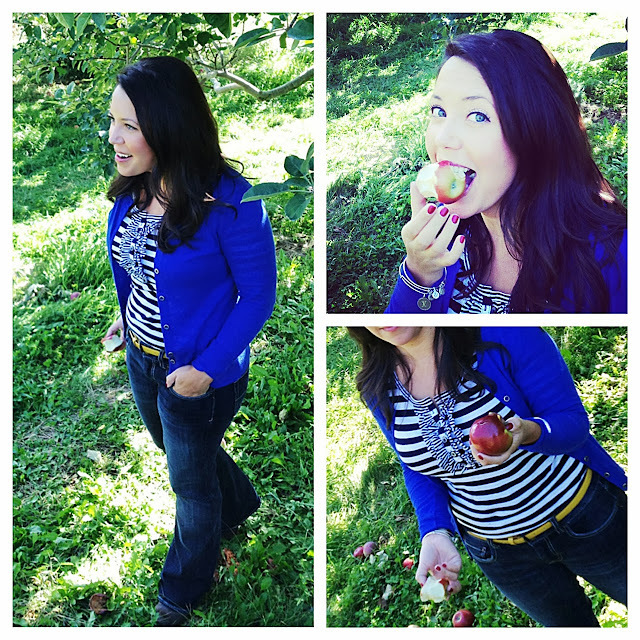 I posted the picture on Facebook of me eating the apple (top right picture above) and got several 'Snow White' comments...must be the dark hair paired with the royal blue cardi...what do you think? Modern day Snow White? Very cute outfit...I love everything about it! What a cute outfit! I loved your striped top so much I picked one up for myself at Old Navy...for $5! Thanks for sharing!